Plenty of lightning ongoing in North Wexford and south Wicklow. In the past 15/20 minutes, there's a marked development of a fairly narrow but increasingly intense band orientated NW to SE stretching from just SE of Tullow down to east of Wexford town. Even in the dark that's a stunning view spookwoman. I'm awake since first peel at 1.30 (just south east of Gorey). 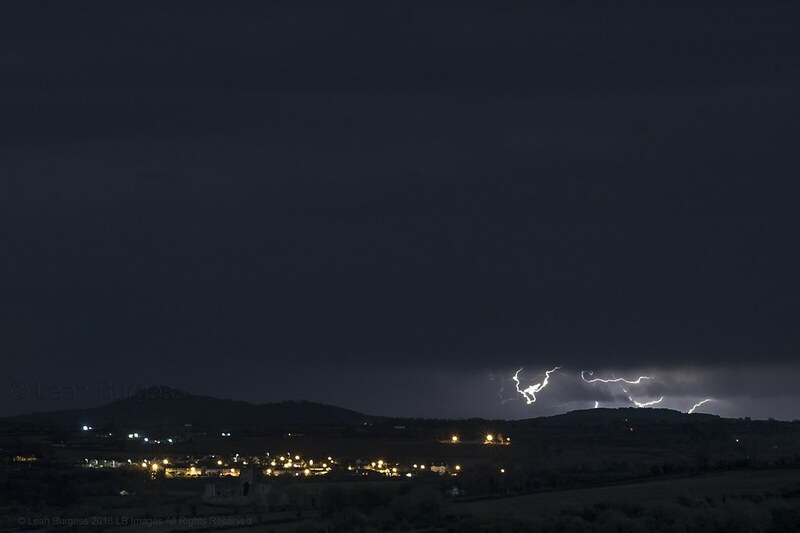 I'm in Enniscorthy and the Thunder was biblical here last night. I'm also fairly sure there was a lighting strike close to my house because there was a crash but not like that from thunder. Could see these huge towering glowing white clouds building out to sea and moving inland last night. Most of the flashes I saw were on the Wexford side. Last edited by spookwoman; 23-11-2018 at 16:56. Some activity moving towards Cork just now. Wow, some very heavy rain in Cork. Very convective looking . Yup, NE Cork getting drenched! Last edited by Meteorite58; 23-11-2018 at 21:11. Is it going to come ashore? Meh, looks like it's fizzling out.